In war, we are revealed so nakedly that who we are as individuals becomes obvious. The impossible circumstances, often violent, that swirl in war could easily wear any individual down, and it is not hyperbole to say that war is hell. However, sometimes the worst situations are able to bring the out the best in individuals and elevate them above their normal station to become a symbol. Courage is not only about doing the right thing, it’s about doing the right thing over and over again in the face of obstacles. It is pretty widely known that Chris Kyle has a confirmed kill count of around 160 enemy combatants, possibly exponentially more. However, the knowledge of his injuries that he sustained to rack up that record-breaking enemy kill count is far less known. To his credit, Kyle’s SEAL insignia contains five Bronze Star Medals with Combat Valor, two Silver Stars, and a Navy and Marine Corps Commendation Medal with Combat. During his tours, he escaped six improvised-explosive-device attacks, received three bullet wounds, narrowly escaped two crashes inside of helicopters, and has had to undergo countless surgeries. To his comrades and those he protected, he was a selfless and courageous protector. He even achieved living legend status with the apt nickname “The Legend.” After each injury, he fought to get back to where he could be of use. If you want to rise to greatness as Chris Kyle did, it is not enough to settle for being good at what you profess yourself to be an expert at. Chris pushed himself hard, and you could see it in his actions and his performance record. He hated failure because failure meant an American soldier’s death, and he was always torn up when one of his comrades fell. Not only does he have an impressive kill count, he was able to do so at amazing distances that others would not be able to believe. He was able to fell an enemy combatant at an impressive distance of over 1,920 meters. That is over a mile away. In life, truth and reality exist independently of us; however, we can only experience these things through our world view. Our perspective matters because it dictates how we perceive the world and, therefore, how we act in it. Many disagreed that Chris was a hero and said he was as a coward and a cold-blooded killer. Putting politics aside, Chris did not let this chorus of anger lead him astray from his mission. He stayed focused and put those words behind him. For Chris, every enemy fell, an American soldier would be coming back home, and holding on to this perspective is what made him so laser focused in his duty. When you believe that your goal has immense weight and importance, you will put all your strength and resources into succeeding. Make your goal matter a lot. As much as he loved being with his comrades, saving lives, and thriving in adverse conditions, he knew the family he had at home could not wait forever. He left the Navy SEALS to come home to be with his family. After Chris Kyle came back from war, like many veterans, he had a hard time adjusting to the civilian lifestyle. The excitement and the anxiety-inducing lifestyle of being a Navy SEAL made him a warrior, but it did little to prepare him for civilian life. After much time battling depression and trying to find his new role at home with his family in Texas, he was able to rebuild his life by working to surround himself with the things he loved the most. If he could not protect his companions in arms, affectionately called “his boys,” by eliminating enemies with his sniper rifle, he could help them by working with them to rebuild their lives once they returned home, fighting for veterans’ rights, and being a father, which was what he loved the most about being home. 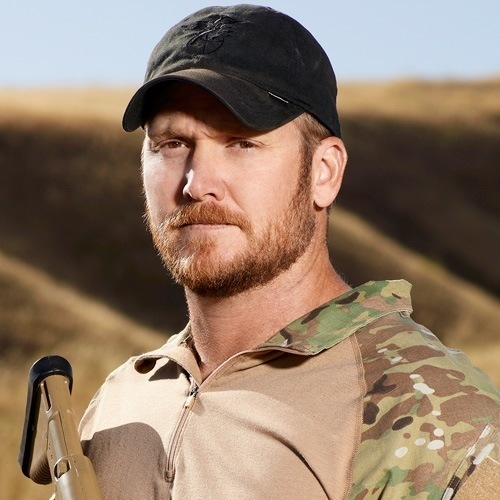 Chris Kyle found a new mission in life after he returned to the United States of America, the country that he had so valiantly fought to protect. We can learn from Chris’ example. When life has you down, look for those things that can bring you back to the living world, to caring, or to being passionate about something. Find your purpose in life, and you will find happiness. For individuals who aspire to become an expert marksman or learn more about sniper rifles and other combat arms, consider learning more about becoming a gunsmith. Did I miss one? What else did the Legend teach us about life?